After taking a break over the winter, I’m back with a new video. 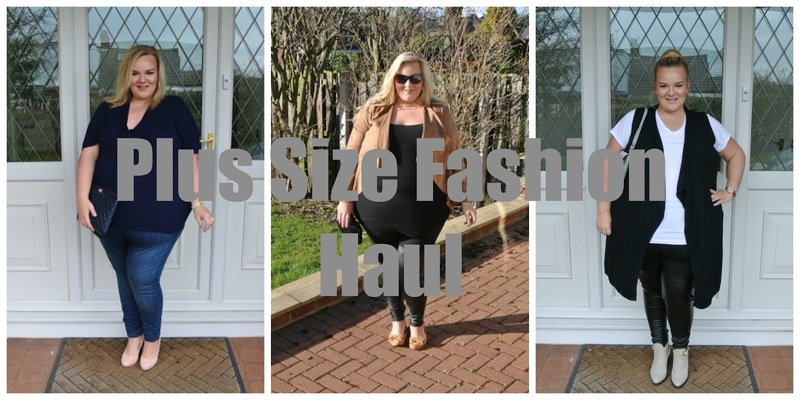 This time, its a plus size fashion haul where I show you all of the clothing pieces that are new to my wardrobe recently. My style has changed quite a bit over the last half a year or so and these items really reflect that. Here are the pieces from my haul along with shopping links in case you want to buy the item or to find out more about it. If I’ve included the piece in a post then I’ve linked that too for you. Evans White Top- SOLD OUT, sorry it was in the sale! When was the last time you updated your style? What was your favourite piece from the haul? You look lovely in all the outfits here. I especially like the suedette jacket! I am actually going to be updating my style this weekend and it is well overdue! I haven't updated my style in such a long time! You have some lovely outfits there. The Bow Jersey Top in Midnight is my favourite item. Amazing outfits. I love your letter look with the leather jacket and trousers! I desperately need to buy new clothes, but I hate clothes shopping, I really do! I need to update my style – I find your posts very inspirational!